In so many ways, Gilbert Keith (G.K.) Chesterton (1874-1936) was an enormous man. — Physically, he was massive: 6 feet 4 inches tall, he weighed more than 250 pounds. He had a shock of hair that on many days looked like it had exploded out of the right side of his head. — His writing production almost defies belief: 4,000 essays, 80 b00ks, several hundred poems, and numerous plays. 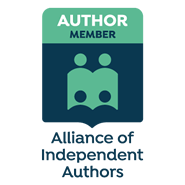 — His range of writing covered multiple genres: non-fiction, critiques and reviews, mystery novels, editorials, social issues, biographies (Charles Dickens and St. Francis of Assisi, to name a couple), and others. He produced a weekly newsletter, G.K.’s Weekly, for much of the last 15 years of his life. 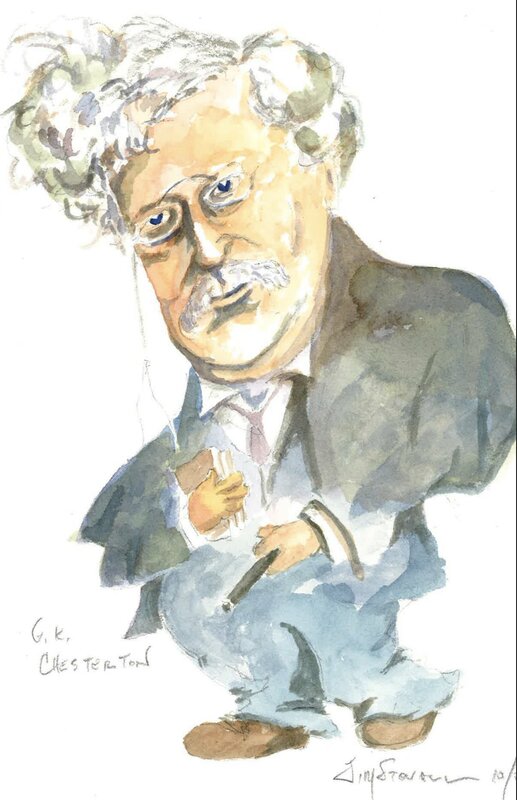 There were few topics and genres that escaped Chesterton’s pen. — He was friends with most of the major intellects of his day, even those with whom he differed. 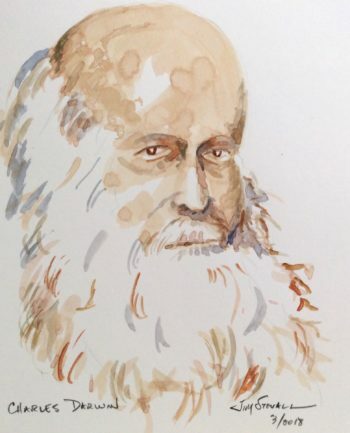 He once said to George Bernard Shaw, “To look at you, one would think that famine had struck England.” Shaw replied, “To look at you, anyone would think you had caused it.” Shaw also said of Chesterton, “He was a man of colossal genius.” Besides Shaw, he was friends with the likes Hillaire Belloc and H.G. Wells, among many other notables. — His absent-mindedness was legendary. One of the many stories about it was that Chesterton once found himself in a train station he did not recognize. He telegraphed his wife: “Am at Market Harborough. Where ought I to be?” She replied, “Home.” Fortunately, Chesterton could write just about anywhere, and he did a lot of writing in train stations. — The influence of his writings spread far and wide. C.S. Lewis attributed his conversion to Christianity to Chesterton’s writings; Mahatma Gandhi was “thunderstruck” by a Chesterton piece published in 1909; Irish Republican leader Michael Collins read and re-read Chesterton’s novel, The Napoleon of Notting Hill; and the list goes on and on. We will explore some of those influences in future posts. Meanwhile, enjoy the caricature presented here. I think G.K. might like it. Among his many areas of genius was the fact that he was an artist and began his career as an illustrator. While working as an illustrator for two London publishing houses, he began writing freelance articles of art criticism. In that writing, Chesterton found his true calling. Fortunately for the world of letters, he followed that path.